C. L. Moore’s short novel Judgment Night was serialized in two issues of John W. Campbell’s Astounding back in 1943. 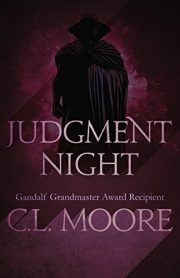 Judgment Night is also the title of a collection published by Dell back in the Disco Era (which is how I encountered the story) .. but the edition I have in hand is Diversion Books’ 2015 ebook. They’ve presented the novel as a standalone—which it is. Not only are there no sequels of which I am aware, it’s not clear to me how there could be. The race that holds Ericon holds the galaxy, because the race that holds Ericon can draw on the wisdom of the Ancients. Access to the Ancients does not mean that one will be able to put their wisdom to effective use. In fact, dynasty after dynasty have interpreted the advice they were given in ways that led to their doom. All human governments are as mortal (if not so short-lived) as their members. Our protagonist, Juille, believes that she can defy fate. 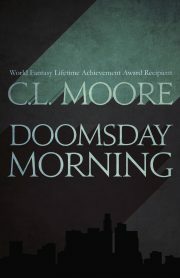 I had never even heard of C. L. Moore’s 1957 novel Doomsday Morning until an ebook version showed up in my inbox. It would have made a fine election day review, if only I had read it a bit earlier. Oh, well. President Raleigh rebuilt America after the Five Days War and a grateful electorate has re-elected him five times. Of course, the electorate might have been nudged in that direction by one of the tools Raleigh created to rebuild America: Communications US aka Comus. Constant monitoring and finely targeted media control allow the government to nudge Americans in the direction of the most sensible decisions. 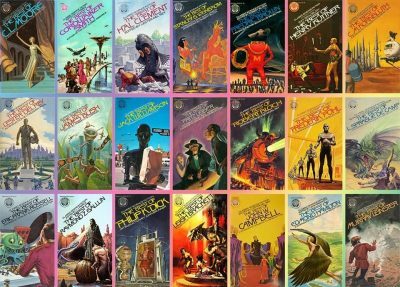 As previously mentioned, I am very fond of Ballantine’s Classic Library of Science Fiction. 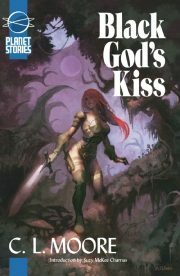 That said, editor Lester del Rey did have one blind spot in common with many of his contemporaries. You won’t find many women in Ballantine’s Classic Library of Science Fiction. 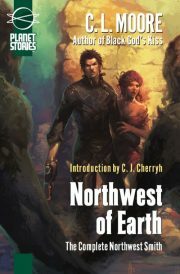 I note just two: Leigh Brackett, reviewed here fairly frequently, and Catherine Lucille Moore, the author of this week’s Rediscovery. 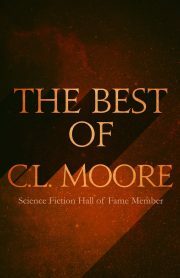 Diversion has republished Moore’s 1975 collection, The Best of C. L. Moore, as an ebook. More relevantly to this review, they sent me a copy. Moore was prolific and well-regarded. She would have been the second woman to be named Grandmaster of the Science Fiction Writers of America, had her second husband not intervened. He claimed that the honour would only confuse her (Moore had Alzheimer’s). But her work has nonetheless been acknowledged in other ways … by collections like this one, for example. Note: this edition is not quite identical with the 1975 edition; the new ebook omits Lester del Rey’s introductory essay, 40 Years of C. L. Moore.